From the modern lines to the proven craftsmanship, the Moorings 5800, built by the world-renowned Robertson and Caine, is in a class of her own. From the modern lines to the proven craftsmanship, the Moorings 5800, built by the world-renowned Robertson and Caine, is in a class of her own. This yacht comes equipped to meet all of your sailing needs, including an expansive flybridge, spacious cabins, plenty of outdoor and indoor living space and additional features. The flybridge is the perfect 360-degree lookout for helmsman and guests, and it is unrivaled in other production catamarans. It offers U-shaped seating for up to 10 and features an outdoor kitchen. 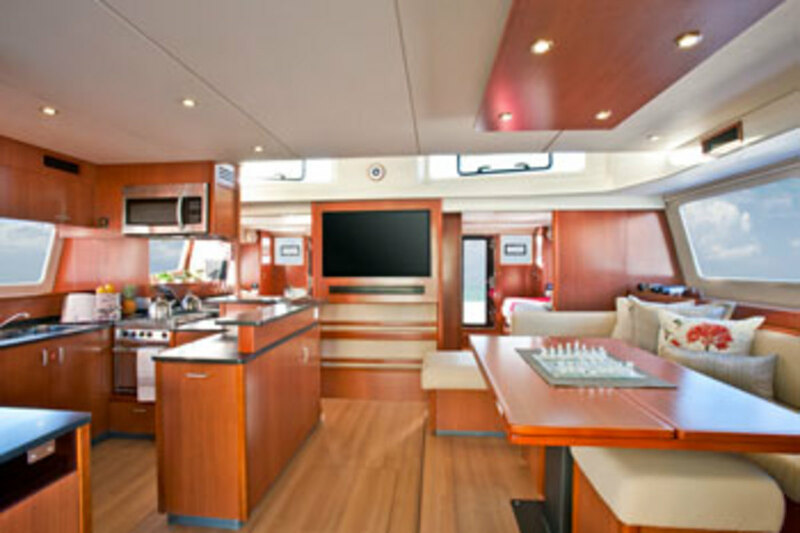 The impressive interior boasts 6 cabins and 6 ensuite heads with two of the cabins and heads located on the bridgedeck. The modern galley offers top-end appliances for all of your culinary needs. With over 40 years of experience, The Moorings is the undisputed leader in the charter industry, delivering the best sailing vacations in the world. When owning with The Moorings, you receive guaranteed monthly income that covers your boat payments, as well as paying no maintenance costs, insurance, or dockage. Plus, you have the opportunity to use any of our sister ships world-wide! 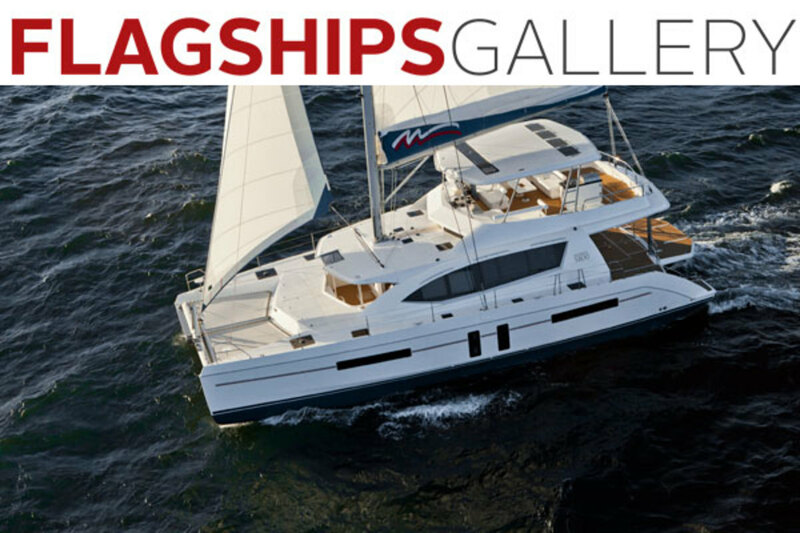 Contact us today to find out more about the all new Moorings 5800 and The Moorings Yacht Ownership Program.